Amongst the many artifices by which vice covers itself from our apprehension, there is no method which it more commonly takes, and yet better succeeds in, than by putting on a mask of virtue and thereby imposing the most flagitious actions upon us as things indifferent, sometimes as things which may gain applause. This was exactly the case with the persons whose lives we are now about to write, who were all of them young men of tolerable education, but giving way to their vicious inclinations, they associated themselves together for the better carrying on those evil practices by which they supported their extravagances, into which lewd women especially had betrayed them. James Sherwood, who was the eldest of them, and also went by the name of Hobbs, was the son of but mean parents, who, however, took all the pains that were in their power to educate him in the best manner they were able. When he grew up they put him out apprentice to a waterman, with whom he served his time, and was afterwards a seaman in a man-of-war. When at home he spent his time in the worst company imaginable, viz., idle young men and lewd, infamous women. As he had naturally a good understanding and quick apprehension, he quickly became adroit in every mystery of wickedness to which he addicted himself. However, Justice soon overtook him and his first companions in wickedness; upon which he turned evidence and saved his own life by sacrificing theirs. He was transported soon afterwards, but upon his finding it difficult to live abroad without working (a thing, for which he had an intolerable aversion) he took the first opportunity that offered of returning home again. When he returned he fell to his old practices, taking up his lodgings at the house of one Sarah Payne, a most infamous woman who was capable of seducing unwary youths for the commission of the greatest villainies, and then ready to betray them to death, either to benefit or secure herself. By hers and Sherwood's means George Weedon was drawn in, a young man of very reputable parents, who had been brought up with the greatest care in the principles of virtue and true religion. It seems, however, that having contracted an acquaintance with a lewd and artful woman, who drew him into an excessive fondness for her, he yielded to the solicitations of Sherwood and his landlady, and took to such courses as they suggested, in order to supply himself with money for the entertainment of that strumpet who was his ruin. It was but a few days before his apprehension that he had been induced to quit the house of his mother, who had ever treated him with the greatest tenderness and affection, and instead thereof had taken lodging with the before-mentioned Payne, who continually solicited him to commit robberies and thefts. At length John Hughs, alias Hews, another young man, joined them. Though bred up carefully to the trade of a shoemaker by his father, who was of the same profession, yet for many years he had addicted himself to picking pockets and such other low kinds of theft, but had never done any great robbery until he fell into the hands of Sherwood and Weedon; with whom he readily agreed to associate himself, and to go with them out into Moorfields and such other places near Town as they thought most convenient in order to waylay and rob passengers, and at other times, when such opportunities did not offer, to break open houses, and to divide their profits equally amongst them. These designs were hardly made before they were put into execution and a very short space elapsed before they had committed many robberies and burglaries, always bringing the booty home and spending it lewdly and extravagantly in the house of that abandoned monster, Sarah Payne. It may not be amiss to take notice here how common a thing it is for such wicked old sinners as this woman was, to set up houses of resort for lewd and abandoned women of the town, who, first getting young men into their company on amorous pretences, by degrees bring them on from one wickedness to another, till at last they end their lives at the gallows, and thereby leave these wretches at liberty to bring others to the same miserable fate. These agents to the Prince of Darkness are usually women who have an artful way of flattering and a pleasing deceitfulness in their address. By this means they, without much difficulty, draw in young lads at their first giving way to the current of their lewd inclinations, and before they are aware, involve them in such expenses as necessarily lead to housebreaking or the highway for a supply. When once they have made a step of this kind, by which their lives are placed in the power of those old practitioners in every kind of wickedness, they are from thenceforward treated as slaves and forced to continue, whether they will or no, in a repeated course of the like villainies until they are arrested by the hand of Justice. Then, none so ready to become evidences against them as those abominable wretches by whom they were at first seduced. Such was the fate that befell these three unhappy young men, of whose courses information being given, they were all apprehended and committed close prisoners to Newgate, and at the next ensuing sessions not a few indictments were found against them. The first indictment they were all three arraigned upon was for felony and burglary in breaking open the house of one William Meak, in the night-time, and taking from thence twelve Gloster cheeses. But the evidence appearing clear only against Sherwood, alias Hobbs, he alone was convicted and the other two acquitted. They were then indicted a second time for breaking open the house of Daniel Elvingham, in the night-time, and taking out of it several quantities of brandy and tobacco; upon which both Sherwood and Weedon were, from very full evidence, convicted. On a third indictment for breaking into the house of Elizabeth Cogdal, and taking thence eight pewter dishes and twenty pewter plates, they were all found guilty; Sherwood and Weedon also being a fourth time convicted for a robbery on the highway, which was proved upon them by the testimony of their landlady, Sarah Payne. Under sentence of death they all testified great sorrow for the offences of their misspent lives. Weedon was of a better temper than the two other, retained a greater sense of the principles of religion upon which he had been brought up in his youth and exceeded his companions in seriousness and steadiness in his devotions. Sherwood had been a much longer proficient in all kinds of wickedness than the other two, having practised several kinds of thefts for nearly eighteen years together, and this had habituated him so much to sin that he showed much less penitence than either of his companions. Hughs had been a thief in a low degree for some years before he fell into the confederacy of Sherwood and Weedon, to which, as he frankly owned, he was drawn by his own previous inclination rather than the persuasions of any of his companions. 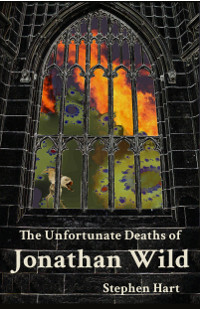 As the time of their death approached they seemed much more affected than formerly they had been; in which frame of mind they continued till they suffered, which was on the 12th of February, 1728, Sherwood being in his twenty-sixth year, Hughs in the twenty-third, and Weedon in the twenty-second year of his age.